In the past, waiters had to keep notes and take time to record every single order, which usually slowed down the order taking process and caused many errors. Today, restaurant POS software is speeding up this process. A good F&B POS system Malaysia can help speed up the order taking and billing process. A good system will keep track of everything from the orders to what inventory is in the kitchen. 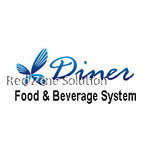 The X-Diner is a restaurant POS software that was designed to work with Microsoft Windows. It is a great system that comes with a huge variety of features. There are many benefits for making the switch to use this POS software. This software offers many important features like order service, billing, and order alteration. It also makes your waiter’s job simpler, so they do not need to waste time. Touch screen capacities have become an important part of a point of sale system Malaysia and in many restaurants. A touch screen makes it easy for waiters to place and edit orders, which reduces the amount time that it takes to enter an order and reduces the number of errors that are made. A simple touch screen table can be turned into a POS system with the right software. Table management is one of the most important parts of running a successful food venue. X-Diner has a great table management system built right into the software, making it a great option for restaurants and cafes that have dine-in environments. The software allows you to recreate your dining room and will update the colours of the table when it is vacant or in use. There are more benefits than just seeing what tables are in use. The software also tracks when the table has ordered and when their food is done. This makes it easy to find out what course they are on and who their server is. Table tracking can also help staff members know when their tables need their bills or to check up on them. This also helps when there is a staff change because the new staff knows what tables have orders, and where they are in their meal. Food & Beverage Software Features. The system also keeps track of all the food and drinks that were ordered and will print a full bill once the server has required it. This reduces the amount of money that is lost due to incorrect bills. The system can be connected with credit card and debit card readers and a cash drawer. This can speed up the time that it takes for a customer to pay the bill. There are card readers that can be connected right to the tablet, so no extra machines are needed. Having a specialised point of sales system Malaysia that is easy to use is key for a business to be successful. A POS cash register system with the right software installed can save time and money. There are many benefits of installing X-Diner’s restaurant POS software at your business.